In cooperation with the German Historical Institute in Washington DC, we would like to invite you to a kick-off event for the “German Heritage in Letters” project at the Horner Memorial Library on Saturday, April 27, at 3 p.m. Atiba Pertilla, the project manager for the GHI, will come from Washington to tell us more about this effort to find, collect, and share letters sent between 1850 and 1920 from Germany to family members and friends who had emigrated to the United States. In addition, we will offer on-site digitization of letters that you are willing to contribute – and remember, this is not about relinquishing the physical object! If you want to donate the actual letters, we are happy to accept them (they would be professionally archived at the Horner Library), but if you want to keep the letters and only share digital copies, that will work just as well. The “German Heritage in Letters” project is taking place as part of the Year of German-American Friendship, initiated by the German Federal Foreign Office and the Goethe-Institut with support from the Federation of German Industries (BDI), and celebrating the historic ties between Germany and the United States under the theme #WunderbarTogether. 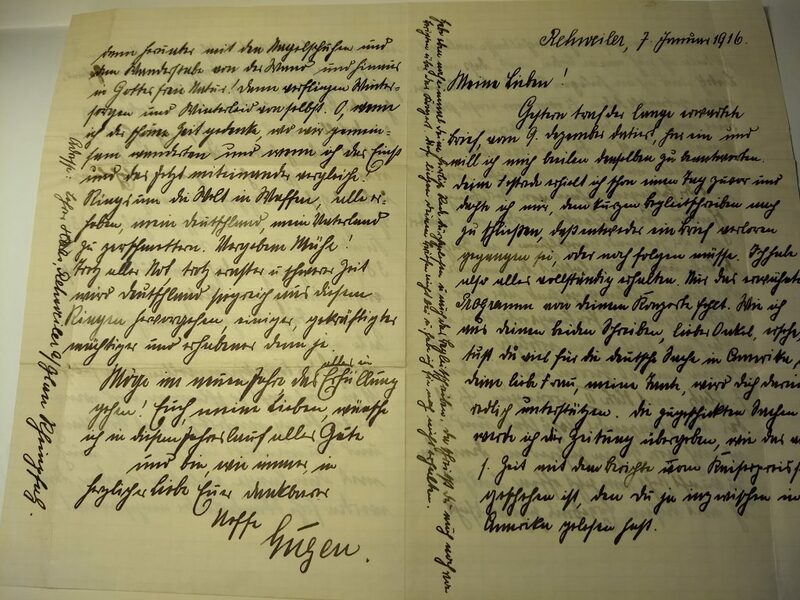 Please refer to the project website at GermanLetters.org for more details regarding the digitization, transcription, and translation of the letters. We would also like to invite those of you with connections to local historical organizations or German social clubs – we are trying to spread the word as far and wide as possible – to please come and learn more about the project and how to help us find letters wherever they might be. Your organization might be holding personal papers containing letters that fall within the scope – anything categorized under “Correspondence” would be worth a look. And while your letters are being scanned in the Library, we will offer refreshments in the Ratskeller, in the hope that you will take this opportunity to share your family stories of immigration with fellow attendees! Please contact the German Society office at 215-427-6332 or info@germansociety.org to RSVP for this event, and if you have specific questions about the digitization aspect, you can get in touch with either Dr. Pertilla at pertilla@ghi-dc.org or GSP Library Committee Chair Maria Sturm at sturm.gsp@gmail.com. We are looking forward to working on this exciting new project with you!